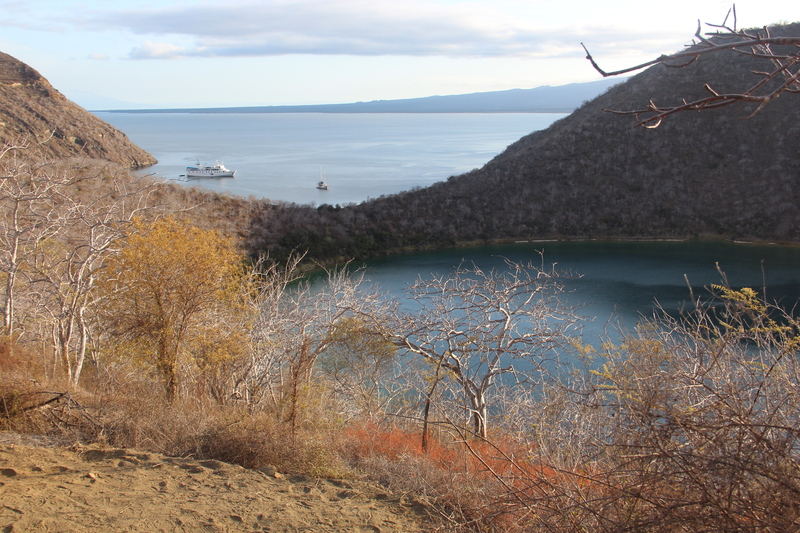 Most animals in the Galapagos Islands have no natural predators. There are no lions or tigers or bears, and for millions of years there weren’t any humans to make problems. No rats either. The birds eat the worms and the sea lions eat the fish and sometimes there are sharks that go after the sea lions, but that’s about it. A primarily vegetarian ecosystem. A pretty peaceful coexistence. The most striking thing about seeing the animals in the Galapagos is how supremely unbothered they are by the human intruders around them. 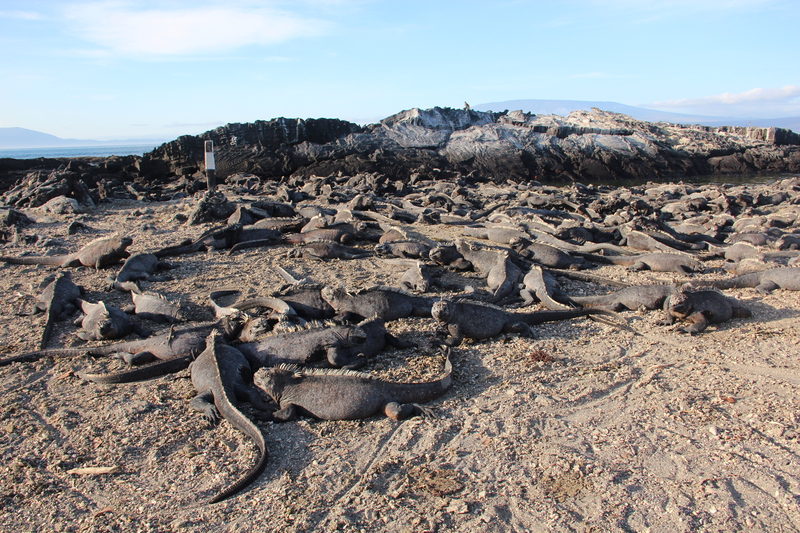 The marine iguanas go on sunbathing and slithering without concern. The sea lions go on lying there blissfully. The blue-footed boobies go on standing there with their, yes, blue feet. There’s no fear, not even curiosity: just bored dismissal. Whatever, they seem to say. Stare all you like. I’m not going anywhere. I have an egg to sit on. Or: I have seaweed to chew. Or: I have a lady friend to impress. That peaceful unconcern is, of course, why many of the endemic Galapagos species have evolved into oddities. When we look at the flightless cormorant, say, which developed an aptitude for swimming and retains only vestigial wings, we don’t think “survival of the fittest” but rather “survival of the weirdest.” It’s because of these incredibly specific adaptations that many Galapagos species are at such risk of survival today. For instance: the tortoises are big and slow-moving, and over centuries some species lost the ability to retract fully into their carapaces. That kind of armored protection just wasn’t necessary. But then in the heyday of whaling, sailors discovered that the big, slow-moving tortoises were great to have on ships: they were easily caught and stored, stayed alive for up to a year without food or water, and provided an abundant meat supply. They stacked hundreds of tortoises in their holds, and decimated the populations. Meanwhile errant rats, tucked away belowdecks on whaling boats, disembarked into the islands and found they had a macabre taste for tortoise eggs and baby tortoises. 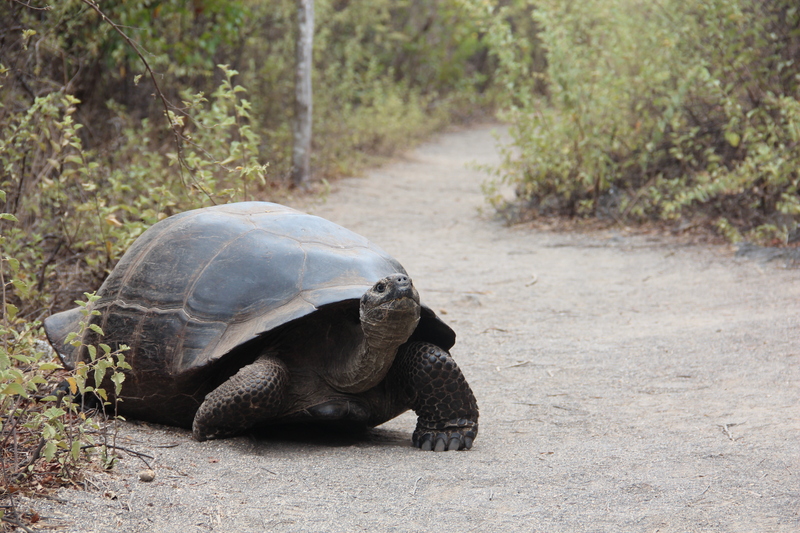 The recovery work continues slowly today, as scientists work to re-engineer and re-introduce into the wild new offspring of tortoise species unique to each tiny island—while eradicating the problematic rats. 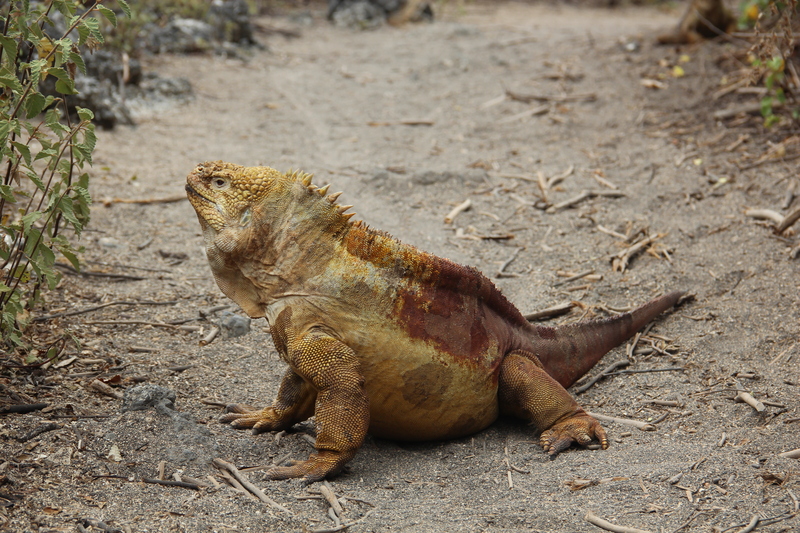 Another instance: the land iguana, lazy and (again) fairly large and slow-moving. Native Galapagos iguanas were fine when they didn’t have competitors for food in the arid landscape they called home, but the introduction (by humans) of foraging goats, pigs, and donkeys destroyed the ready availability of low-lying vegetation, and the land iguana population on the island of Santa Cruz dwindled rapidly. Over the last few decades, aggressive anti-goat, anti-pig, and anti-donkey campaigns have restored the iguanas’ livelihood and numbers (and have killed hundreds, if not thousands, of wild pigs, goats, and donkeys). This is the story of so many wilderness areas around the globe: a constant tug-of-war between destruction and preservation, unintended alteration and carefully considered rehabilitation. Humankind tends to be klutzy when we come to our environment. We can’t help it. We rarely realize what we’re doing while we’re doing it. And, perhaps most importantly, our cultural consciousness of what we’re doing and if it’s good, bad, or neutral is always in flux. 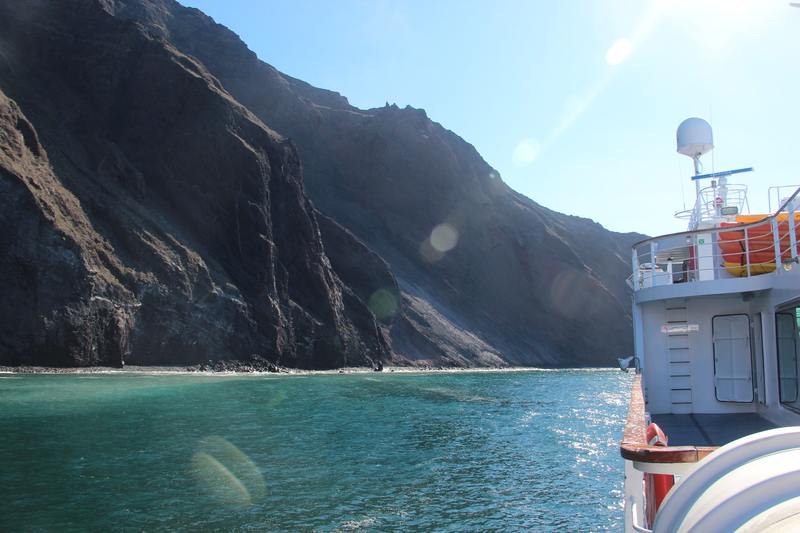 If you zoom out on a place like the Galapagos—zoom out millions of years—some big questions come into play. By protecting the land and animals, are we stopping the inevitable progress of time and evolutionary tough love—or just halting it? Is reversing what we see to be human damage to a pristine environment a smart move, or are we nearsighted by our own good intentions? Blah blah. These are the philosophical debates around environmentalism, and I’m hardly the first person to articulate the questions. But I think I know what my answers are—for myself, anyway. If we are nostalgic for a past that we messed up, it can often be recuperated. It just takes time and effort (and there will inevitably be new consequences to the changes we make). The process of fixing what we’ve broken acts as a reminder that nothing—but nothing!—lasts for very long, if at all. Here’s the thing: land iguanas have no idea how lucky they are to have ample food to graze on once more. The unusual part about being human is that we know just how good we have it, just how much we miss things we’ve lost, and just how lucky we are to get them back. So yeah, it would be chill to be a land iguana, and it would be fun to splash around as a sea lion. But being a human? That might be the coolest animal of all. Life’s a beach for the marine iguanas. ← But aren’t all great quests folly?